A delicately sweet flavour with low acidity. Colombia is the second largest producer of Arabica coffee after Brazil, but its quality is sweeter and commonly defined as “Suave” (Soft). The carefully selected “Supremo” beans, grown in the Medellin region, are large, flat and uniform. 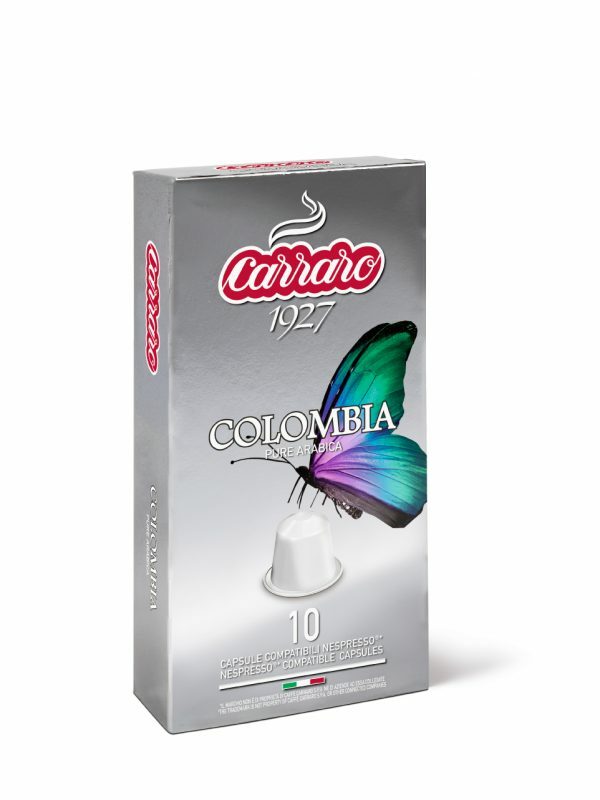 Delicately sweet in the cup, with a light, aromatic body. 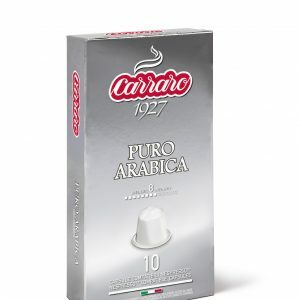 Only the top grades have a low-toned acidity which makes this coffee perfect for drinking at any time of the day. ®The trademark is not property of The Coffee Pod Company or its connected companies. 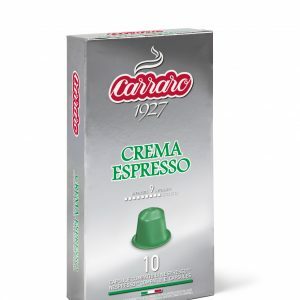 Carraro Nespresso® Compatible Coffee Capsules, Crema Espresso Blend, 10 x 10 per case.